Alumni & Associates are an important part of FCCLA. 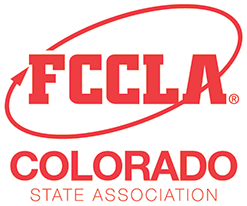 Alumni members who volunteer their time and energy or those supporting us as Associates, all help to make Colorado FCCLA’s accomplishments possible. We owe it to them to keep them involved. We encourage active members and advisers to keep alumni and associates in their communities involved in FCCLA. Send them a schedule of your upcoming FCCLA events and invitations to your member recognition program or get them involved in fundraising activities. We surely want to keep you involved in an organization as outstanding as Colorado FCCLA! Membership is $15 per year or $30 for two years for professionals and $10 per year or $20 for two years for students. You can pay by credit card (below) or send a check to the state office. 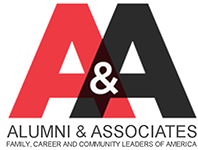 If you want to stay connected and volunteer at FCCLA event, complete the Colorado Alumni & Associates Form! Register your chapter in the national FCCLA affiliation database in order to receive real-time membership data and information. Ra ra that dear old state of mine. and now I know that Colorado's best!